Avada is one of the top selling themes of all-time on the biggest WordPress theme marketplace on the planet. This multi-purpose theme for WordPress has everything. You can use it to build a number of different style sites and pages. This easily is one of the most extensive WordPress themes ever created. Versitile is the keyword here. Build a single page site for your mobile app, or an entire directory site. You can really do just about anything with Avada. Avada’s demo does an amazing job of building a website without the need of a developer. You don’t need any PHP knowledge or coding skills at all to get professional results. Fool your friends and tell them you designed it from scratch. Actually you probably shouldn’t do that, but you will feel like a full-fledged designer once you figure out how to use Avada for it’s full potential. I’ve heard that just about anyone can build a fully customized WordPress website that looks and functions great. We put that idea to the test and tried this theme out to see if it lived up to its promise. What Kind of Theme is Avada? When it comes to WordPress web design, there are a couple ways to go. Either developers will create an all-purpose theme to handle all sorts of layouts, templates and customization…or themes are built for specific layouts to handle templates, custom designs and themes. Sound confusing? Well with Avada you don’t have to worry about that. The developers of this premium WordPress Theme made sure not to leave you with just a few options. There are so many features, customization options and settings to play with inside the UI. You can create just about any type of website you want with this package. The developers made sure to create an all-purpose theme that does not disappoint. There are a lot of customization options and pre-built layouts. If you are in need of an ultra-flexible theme that can be customized to build any type of WordPress website, then Avada might be the theme for you. Let’s explore some of the features that Avada has to offer. It comes packed with so many features I’d be hard pressed to list them all. There is a giant list of features on the documentation website, but we will start with some basic ones. Once you install and activate this plugin you will be asked to install the Fusion Core and Layer Slider WordPress plugins. Thanks to the use of these auxiliary plugins, you will have an enormous amount of flexibility at your disposal. In this review we’ll explore all the ins and outs of this premium WordPress theme. Look around at all the options in your WordPress dashboard and you will see right away that it’s different from the demo version. You might be surprised at the extra options you get the full vesion. Import all the demo content if you want to see selected pages from that specific layout. This option can be achieved by using the Fusion Builder tool to build individual pages from one of the demos. 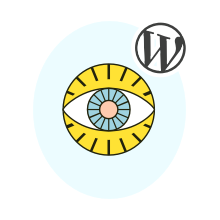 Alternatively, you can manually copy the code from the documentation and paste it into WordPress the pages that you want to build. You have a couple of options once you have this plugin up and running. They are both pretty straightforward and easy to use. The user interface is pretty easy and any level WordPress user can have a website up and running in no time. Most likely you won’t want to use the entire demo version of your website as your layout. The options control panel is very easy to use and any user can easily find their way around the user interface. It’s pretty expansive so give yourself a lot of time to get to know the back end. As shown above the options control panel is packed with a bunch of different features and options to customize your website. To get more out of this theme, you should get to know the options panel very well and spend some time playing with all the different features. If you are a beginner, it might be a good idea to find the settings you want to change and modify them only when you need to instead of getting lost in the backend. Avada comes stocked with it’s own page builder tool, which you can use to make a new page or post. When you want to add new content, you can insert many of the elements into the layout from the page builder, and customize them as you need to. Within the builder you can save layouts that you created as templates for later use. Building a page within the page builder can save you a lot of time. Avada’s page options lets you easily change a wide range of page settings. You can add background images, configure your sliders, and adjust the header, footer and whole lot more. When you change the page settings these changes will only reflect on the specific page or post you are working on. This gives you a lot of ways to get your ideas accross. In addition to the post and page options, Avada also has a couple other custom types. Portfolio and FAQ. Each of these has their own set of unique options and features to help you organize these templates however you’d like. Avada allows you to create sidebar areas for your WordPress website that can be displayed on single or multiple pages. This gives you complete control of the widget areas that are displayed alongside your page content. One thing that’s nice about this theme is that LayerSlider WP and Revolutions Slider plugins come bundled into Avada. You can add some awesome animations and content to your post and pages with these plugins. All-purpose or multipurpose themes can be a little bit overwhelming. Having so many tools and features at your fingertips can sometimes be confusing if you aren’t familiar with the software. Like the old adage goes, too many ingredients can spoil the broth. Sometimes packing too much into your site can leave it unbalanced and ruin a good design. Having so many options can encourage you to get a little bit overzealous when it comes to creating your site. Simply because you have the ability to create a lot of cool sliders, effects and animations doesn’t mean that you should. Having too many things on one page can be bad for load time and create a confusing user experience, not to mention clutter up your site. A lot times less is more especially if you want something very minimal, like a single page or shopping cart site. This is also true for the wide range of custom options Avada offers. Just because you have a ton of fonts, background types, and other elements doesn’t necessarily mean that you shouldn’t use them all. I had to exercise a bit of discipline when I was tinkering around with all the different options available. Once I get to the point that I like my design site, I leave it and come back to to it later so I can have a fresh perspective. This isn’t just a problem specific to Avada, this is a problem with all feature-rich themes. If you just want something super simple you might want to go for a theme that is geared toward whatever niche your audience lies in. Especially if you get easily overwhelmed by features and/or can’t stop playing with all the cool options available. For the price, Avada really was worth it. It’s so flexible that you can build just about any type of site imaginable. This theme comes complete with an expansive page builder that really impressed me. It wasn’t too hard to use and there are plenty of pre-built page layouts that can help you get started. This theme is very well documented, has plenty of demo content and a lot of demo content. Even so, you will have to devote some time to learning Avada. There’s a bit of a learning curve when it comes to mastering Avada’s page builders. As I said earlier, if you are brand new to WordPress you should consider this before you purchase it. If you are ready to put in some time learning the backend, than you will love just how expansive this theme is. You can build versatile dynamic sites and you get a ton of options. Check it out for yourself and discover the beauty of this powerful theme. Most Selling WordPress theme in ThemeForest!! Don't miss awesome news, hot releases and updates. Join our newsletter! One of the key features of WordPress is the constant updating process….